So I got the backer reward for one of the projects I backed on Kickstarter last year! 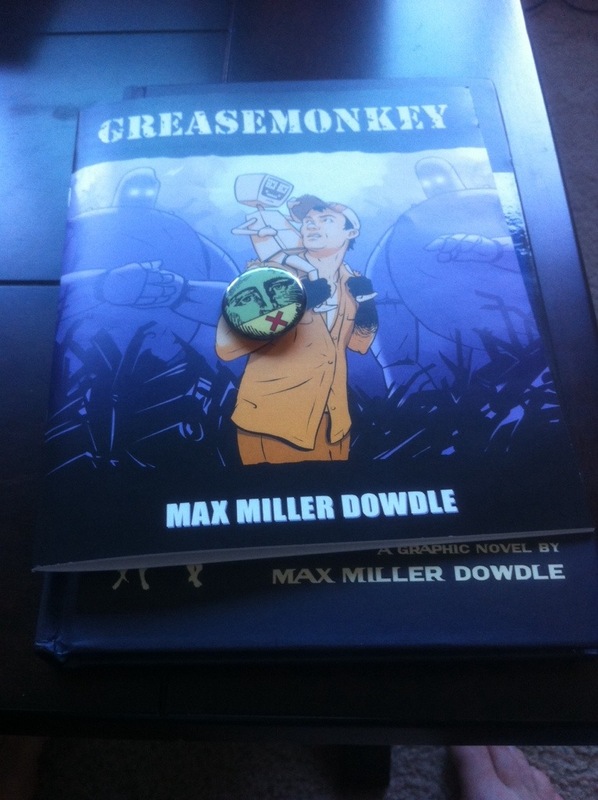 This original graphic novel, written and illustrated by Max Miller Dowdle, is fantastic. It’s definitely a cerebral story that you need to pay close attention to. The majority of the story happens within a single hotel room, so don’t expect any huge action scenes. The characters are absolutely stand-out, the pacing is phenomenal, and for a comic that moves around so (relatively) little and has so few characters, the tension was palpable. As for the art: It’s absolutely fantastic. 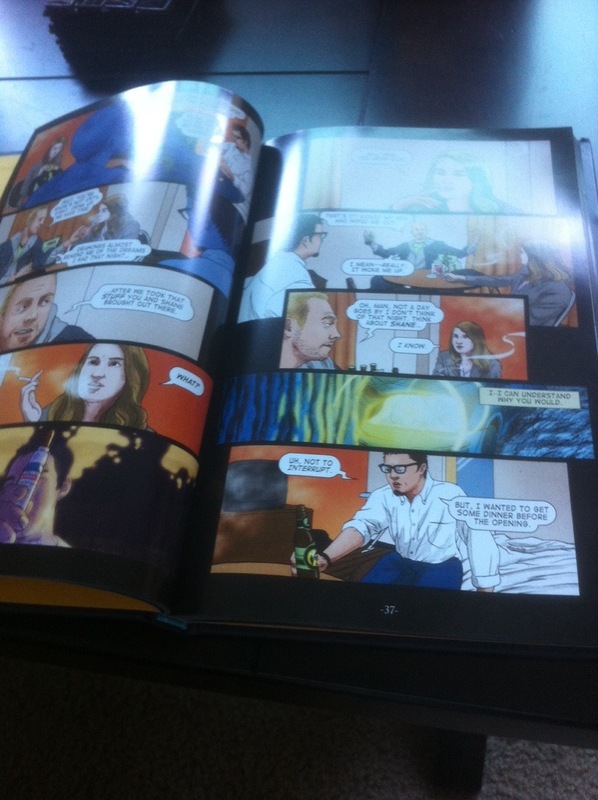 Dowlde not only wrote the story, but did the art, colors, and lettering. 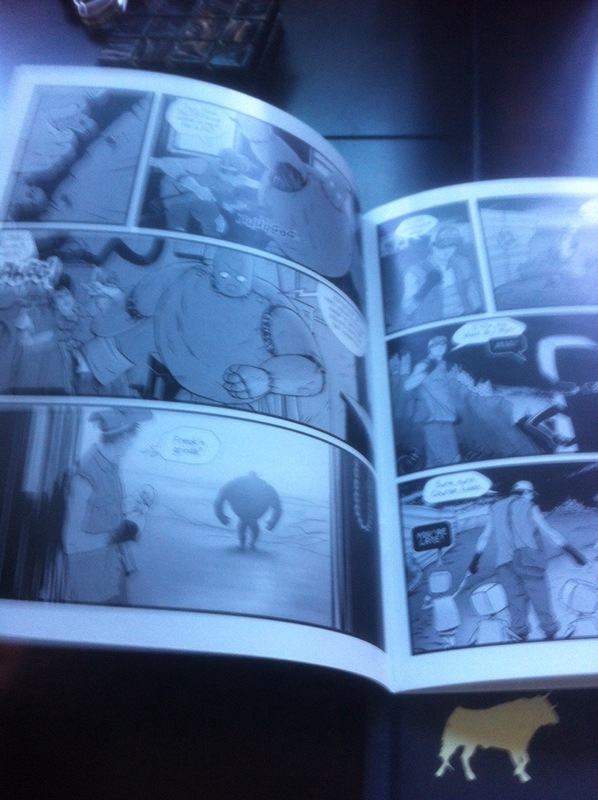 It also came with a fun little black and white 28 page comic, Greasemonkey, about a pilot who crash-lands and is forced by a group of robots to act as their mechanics, as well as a Shattered With Curve of Horn pin. Also fantastic. Definitely worth the read. Do I have any complaints? Well, I wish the ending wasn’t quite so abrupt, but otherwise, Shattered With Curve of Horn one of the better indie comics I’ve read in ages. You definitely need to pay close attention, though, since Dowdle definitely doesn’t spell everything out for you. Shattered With Curve of Horn is being posted as a webcomic every Monday, too, so you can read most of the book so far on his site. Projects like this are one of the big reasons I love Kickstarter. 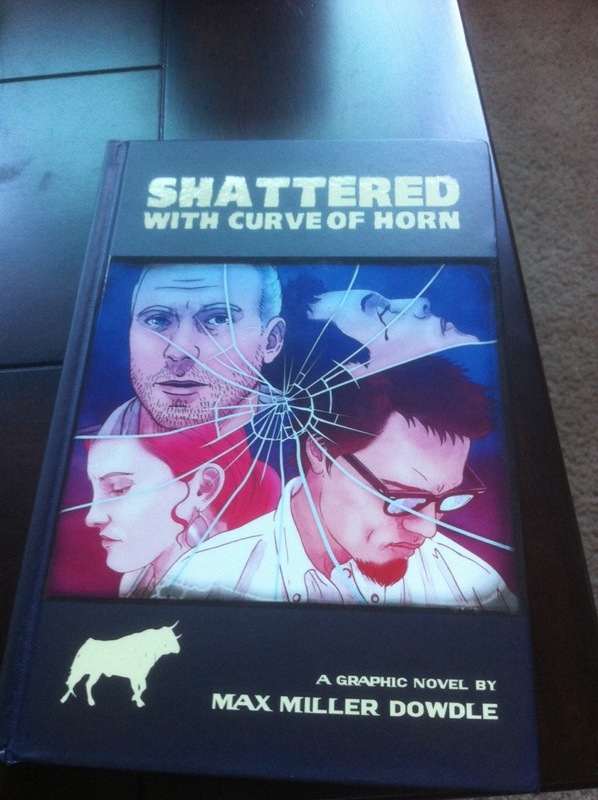 Posted in Comics and tagged Greasemonkey, Kickstarter, Max Miller Dowdle, Shattered With Curve of Horn on April 30, 2014 by mountainwashere.